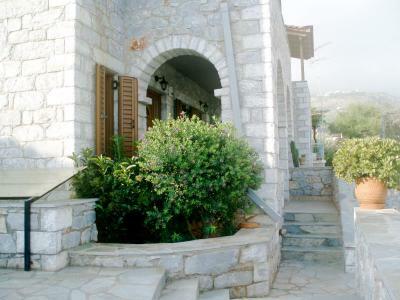 Lock in a great price for Vrahos – rated 9.3 by recent guests! We had an amazing stay at Vrahos! We enjoyed the great view from our own terrace and slept very comfortably! Very clean room and parking for customers! excellent value for money and super friendly host! Highly recommended! Η κ. Ελένη, η ιδιοκτήτρια, έχει την ικανότητα να σε κάνει να αισθάνεσαι σαν στο σπίτι σου. Στην ουσία ήταν ενοικιαζόμενο δωμάτιο, με κουζινικά. Η οικοδέσποινα ήταν εξαιρετικά συμπαθητική. Το δωμάτιο ευρύχωρο, το wi-fi καλό. Έμεινα μια βραδιά για μια δουλειά που είχα στην περιοχή. Die Unterkunft ist hervorragend gelegen! Das Preis-Leistungsverhältnis ist sehr gut! Und Elleni sehr freundlich! Vrahos is located in Agios Nikolaos. 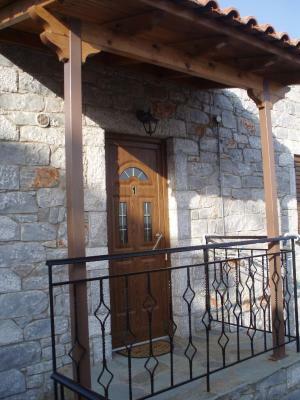 Built in stone, it offers self-catering accommodations opening out to a balcony with mountain views. All units will provide you with air conditioning. Each has a kitchenette with a refrigerator and kitchenware. Featuring a shower, the private bathroom also comes with a hairdryer. At Vrahos you will find a garden. Other facilities offered at the property include luggage storage. The property offers free parking. 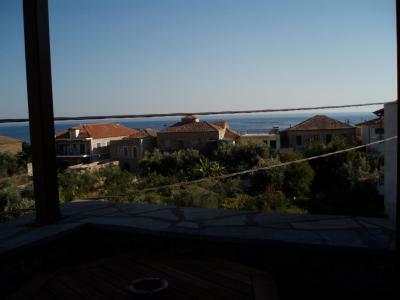 This homestay is 22 mi from Kalamata Airport. When would you like to stay at Vrahos? Opening out to a balcony with mountain views, this family studio is air-conditioned and includes a kitchenette with dining table and a private bathroom with hairdryer. Opening out to a balcony with mountain views, this studio is air-conditioned and includes a kitchenette with dining table and a private bathroom with hairdryer. House Rules Vrahos takes special requests – add in the next step! Vrahos accepts these cards and reserves the right to temporarily hold an amount prior to arrival. Please inform Vrahos of your expected arrival time in advance. You can use the Special Requests box when booking, or contact the property directly using the contact details in your confirmation.